How can a multi-fuel stove decrease your energy bill? With an increasing amount of social attention turned towards conserving natural resources, and protecting the environment, finding different energy sources is becoming increasingly popular. Heating your home with a multi-fuel stove is just one option that could help to cut down on your energy usage. But how can a multi-fuel stove decrease your energy bill? And why should you choose a multi-fuel stove? Well, here at JMS Wood Burning and Multi-Fuel Stoves, we are Birmingham’s professional stove experts. And this is our guide to everything you should know about decreasing your energy bill, with a multi-fuel stove. Cast iron and steel multi-fuel stoves can both heat your home effectively. Especially if your home is fully thermally insulated, and your chosen stove has a good heat output. As a result, if you rely on your stove to heat your home, you will not need to switch the heating on quite so frequently. And this will have a knock on effect on your heating bill. It also means that you will be using less non-renewable energy. Cutting down on your energy usage is a good way to begin to reduce your impact on the environment. But reducing your gas usage, to switch to other unethical fuel sources such as coal, is not a great option. Instead, you should make sure that any fuel you use, wood, paper etc, is sourced ethically. Many cuts of wood for burning are often labelled as sustainable, and these are collected as part of a sustainable cycle. This is essential if you want to do your bit for the environment. For more information or advice about choosing your new multi-fuel stove, and what it could mean for your energy bill, get in touch with the team today, here at JMS, wood burning and multi-fuel stove specialists. Choosing and purchasing a new stove can make a dramatic difference to your home and lifestyle, as well as your energy bills. But with use, your stove can start to lose it’s shine. So what can you do? Well, there are a number of different maintenance tasks that are essential to get the most out of your stove. Whether it’s a multi-fuel stove, or a wood-burner, a cast iron stove, or a stainless steel stove, you will need to follow a maintenance routine. Here at JMS Wood Burning and Multi-Fuel Stoves, we are leading stove experts. As a result, we have produced this guide to How to keep your stove looking it’s best. Be sure to burn only the right materials- burning different types of materials can really damage your stove, if your stove is not designed to burn these. For example, a wood-burning stove is designed with wood burning in mind, and these are created to withstand the temperatures and waste products produced from burning wood. Multi-fuel stoves on the other hand can burn a range of fuel sources effectively. Clean your stove- cleaning your multi-fuel stove, removing ash and debris is a good way to keep your stove in good working order. Ash and debris, and soot, can prevent air from circulating effectively around your stove, making it less efficient. However, for a wood-burning stove, you should leave a small bed of ash, as this can actually make it more efficient. The soot and debris should still be removed though. Clean the glass- A sooty stove door might be a good sign of a warm, cosy evening, but if you want your stove to continue to look great, you should make sure you clean and polish the glass regularly. This can have a big effect on the visual appeal of your stove. 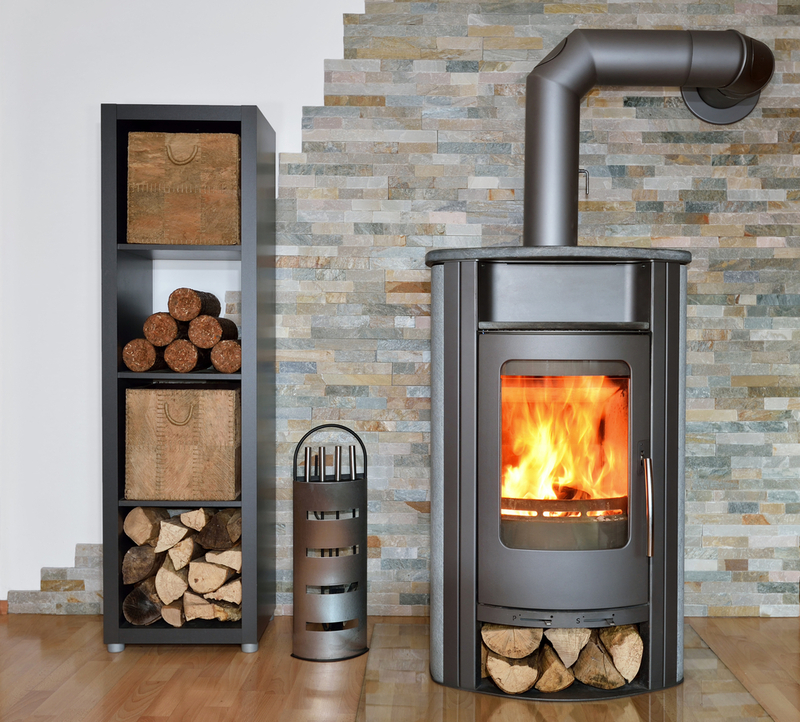 For more information or advice, get in touch with the professionals today, here at JMS Stoves. With snow falling and temperatures plummeting across the UK, what could be more cosy than a wood burning or multi-fuel stove? 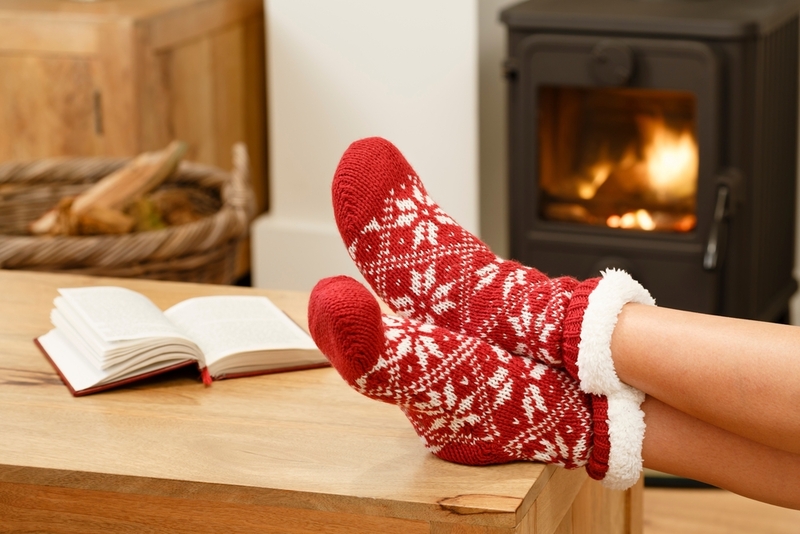 Heating your home with a real fire can bring a range of health and well-being benefits, and it could also help reduce your fuel bills and help the environment. Here at JMS Wood Burning and Multi-Fuel Stoves, we offer a range of stoves that could be perfect for any home. As a result, we have produced this guide to tell you how you can heat your home with a stove this winter. Wood burning and multi-fuel stoves are available in both cast iron, and steel varieties. These are designed in a range of styles, from traditional to ultra-contemporary so there is something to suit any home. While cast iron stoves take a little longer to heat up, they do retain heat for longer. So if you want instant warmth when you walk in from the snow, a steel stove could be a good option. But if you want to warm your home through for the evening, without using as much wood or fuel, an iron stove could be a good choice. Either stove you choose, you could see a big heat output, as long as you choose the right size stove for your room or home. Here at JMS Stoves, we can help you with that. Wood burning stoves are designed only to burn wood, and are created with efficiency in mind so that you will get the most heat from as little wood as possible. Multi-fuel stoves are designed to burn wood, coal and other fuel sources. This means you can choose a range of alternatives, and you wont have to rely on wood. Coming home to a stove is a great way to relax and unwind as you thaw out. For more information or advice, get in touch with the team today, here at JMS Wood Burning and Multi-Fuel Stoves. strong, reliable, resilient and durable- a cast iron stove from a reputable supplier is built to last. This means that it wont warp or bend with the heat of the fire, and you wont have to worry about repairs or replacements. stunning design- cast iron stoves can be created to be traditional and welcoming, or contemporary and stunning so, you can choose whatever style will fit your home. So when it comes to cast iron stoves, should you choose a multi-fuel, or a wood burner? Well, there are advantages and disadvantages to each, but the main difference is that a wood burner is designed specifically to burn wood, so other fuel forms would not be an option to heat your home. On the other hand, the multi-fuel stove is built to burn a range of materials so you will have the full range of fuel options. For more information, or for your multi-fuel stove installation, get in touch today, here at JMS Stoves. Now that winter is drawing in, and the weather is turning colder, you might be thinking about installing a stove. A wood-burning stove, or a multi-fuel stove, could both transform your daily routine, and your fuel bill. But with a multi-fuel stove, you will have the added advantage of being able to burn a range of fuel types including wood. So why should you buy a multi-fuel stove? And what kind of difference will it make? Well, here at JMS Stoves, we are are leading stove experts. As a result, we have produced this guide to the top reasons to buy a multi-fuel stove. warm, relaxing home- what could be better than sitting around the fire on cold winters night? It’s just so relaxing. In fact, there is proof that looking into the flames of a stove can reduce your blood pressure, and help you relax and socialise. It’s in our evolution! So listen to your inner caveman, and get the fire going. cut down on bills- by purchasing an multi-fuel stove, you could cut down on your energy bills. Eco-friendly, solid fuels, burn at a very high temperature, for a very long time. This means that if you have a multi-fuel fire in your living room, the surrounding rooms will be heated as well. As a result, you wont have to rely on your central heating as much, and you could save on energy bills. aesthetically pleasing- nothing beats the appeal of a real fire, in a real stove. From contemporary designs for contemporary homes, to traditional stove designs, there is something to suit any home or property. When you think of a wood burning or multi-fuel stove, energy efficiency is probably not the first thing that comes to mind. But using a multi-fuel stove can actually help to reduce your energy bills. And these stoves are also designed to meet stringent energy efficient measures. Here at JMS Stoves, we are leading stove experts. 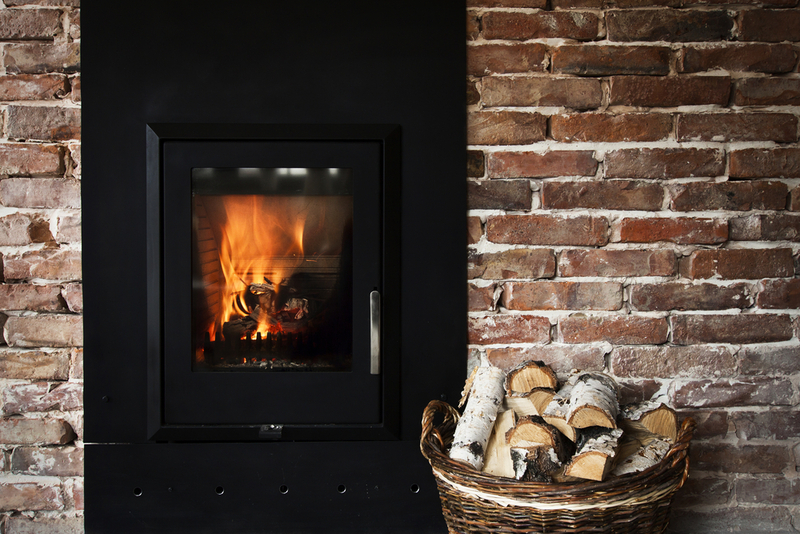 From wood burning to multi-fuel stoves, we offer a wide range of products to suit any home. Including traditional, modern and inset designs. As a result, we have produced this guide to multi-fuel stoves and energy efficiency. Multi-fuel stoves are incredibly energy efficient when compared with other forms of heating your home. If you were to use your new stove as the main source of heating for your home, your carbon footprint, and use of natural resources could be less than relying on gas. As efficient as A grade gas boilers are, they are still using a finite natural resource. In comparison, multi-fuel stoves can burn wood logs, produced as part of a fully sustainable process. As long as you only buy logs that are produced by a provider that replants trees. Alternatively, if you were to use your new stove as secondary heating, you need to compare this with other secondary heating options. These are either halogen heaters or electric heaters. And each of these options eat up fuel at a considerable pace. And neither are particularly safe. House fires can easily be started by either halogen heaters or electric heaters. Whereas a multi-fuel stove burning energy efficient logs, is much more suitable for the environment that electricity or gas. Whether your stove is a primary or secondary source of heat, you will notice a drop in your regular fuel bill. Stoves are incredibly good at heating a space, in a short amount of time, and keeping it warm. And this means you wont have to put the heating on as frequently. For more information or advice, get in touch with the experts today, here at JMS Stoves. Choosing between a cast iron stove, and a steel stove can be tricky. And that’s before you’ve spent time deliberating between a multi-fuel stove and a wood burning stove. Either a cast iron stove or a steel stove can be incredibly effective at heating your home. But why would you choose a steel stove, instead of cast iron? Well, here at JMS Stoves, we are Birmingham’s leading stove experts. And this is our guide to the advantages of steel stoves. Steel stoves are much faster to heat up than cast iron stoves. And this means that your home can be warmed through in a lot less time, by using a steel stove. not only will your home warm faster, but it will also cost less to heat. Simply because it will take less time for your room to reach optimum temperature. This means you could be spending less money on fuel. When you think of steel stoves, you probably think of ultra-contemporary stunning design pieces. And while this is true, there are some stunning, contemporary steel stoves out there, traditional steel stoves are also an option. In fact, there are a wide variety of styles to choose from when opting for a stainless steel stove. And this means that steel can be the perfect choice for a range of households, from the contemporary, to the traditional. You might have heard some horror stories about steel. And cracked or warped stoves. Unfortunately, these stories are entirely possible if you purchase a low quality steel stove. And if you instead opted for a low quality cast iron stove, you’d also see the same effects. It’s not steel itself that is an issue for stoves, its the quality of the material. High quality steel can create some stunning, long lasting, durable stoves. For more information or advice, get in touch with the experts today, here at JMS Stoves in Birmingham. When it comes to choosing a new stove, you don’t just need to choose between a multi-fuel stove, or a wood burning stove. You also need to think about whether you want a steel stove, or a cast iron stove. And it can be a challenge to know which stove material would best suit your home, and your lifestyle. But here at JMS Stoves, we are Birmingham’s leading stove experts. As a result, we have produced this guide to the advantage of cast iron stoves. Although steel might be more contemporary than cast iron, cast iron stoves are available in a wide variety of designs and styles. From traditional stove designs, to ultra modern, sleek and stylish stoves, cast iron could be the perfect choice for any home. Cast iron stoves are robust and durable. They are not going to warp or bend with the heat of the fire, unlike some low quality steel stoves that are available from unscrupulous suppliers. Cast iron stoves are also built to last. So you shouldn’t have to worry about repairs or damage, because these stoves are built for quality and longevity. On a practical level, cast iron stoves can be a great option. This is because one of the biggest advantages of cast iron stoves is that they stay warm, long after the fire has been extinguished. This means that your home will get warm quickly, and then stay warm for a longer period of time. Especially when compared to a steel stove. Now that the dark nights are drawing in, its the perfect time to be putting your feet up in front of a multi-fuel or wood burning stove. And here at JMS Stoves, we offer an amazing selection of top of the range of stove products perfect for any home. But once your stove has been installed, how can you keep it looking new? Well, as Birmingham’s leading stove experts, we have produced this guide to maintenance for your multi-fuel stove. Removing ash and soot- ash soot and any remaining debris should be removed before lighting your stove up again. This will help keep the air circulating inside the stove, and keep the fire well lit, and your home warm. Internal check up- every so often you should be checking the internal parts of your stove for damage and obvious build up of soot, ash or debris. Make sure you pay close attention to the firebricks, glass and rope seals. get your chimney swept- its good practice to arrange for a chimney sweep to sweep your chimney on an annual or bi-annual basis. It may even need to be more regular than this. Check inside your stove for any signs of build up of debris above the flue baffle. This is in the upper part of the firebox. You might need a torch to see them. Clean the glass- for a stunning stove, you need to keep on top of the glass care. This means waiting for the stove to cool, and cleaning the glass using a specialist glass cleaner for the best results. You don’t want to smudge the ash around, you want to remove it completely. When it comes to your new wood burning stove, we are sure it is currently pride of place in your home. And like all new wood burning stoves, it will be gleaming and shiny, and you’ll be desperate to light it. But how can you keep it performing well, and looking great in the long term? Well, regular wood burning stove maintenance is an important part of stove ownership. And here at JMS Stoves, we are leading wood burning and multi-fuel stove experts. As a result, we have produced this guide to wood burning stoves, and maintenance tips for new owners. For your stove to perform to the best of its ability, it needs to be given the best possible material to burn. As a result, you should only ever use fully seasoned wood. Be careful to check bags of wood that are sold as seasoned, as in many cases, they are simply still too wet to burn efficiently. That’s why its always a great idea to buy next years wood, this year, and give it time to dry out further. Your stove will be grateful. Taking care of your chimney is important if you are going to be burning wood regularly. So make sure you get your chimney swept at least once a year. Although modern wood burners have an air wash system, they still leave a thin layer of ash on the stove glass. Cleaning this off daily, is a much better idea than letting it build up over time, and become almost impossible to remove. The seals and gaskets on a wood burning stove are designed to keep the stove air tight. This means that they only allow air into the stove through the air inlets. Make sure they’re sealing properly to avoid over firing. For more information or advice, or for your new wood burning stove, get in touch today with the experts here at JMS Stoves.